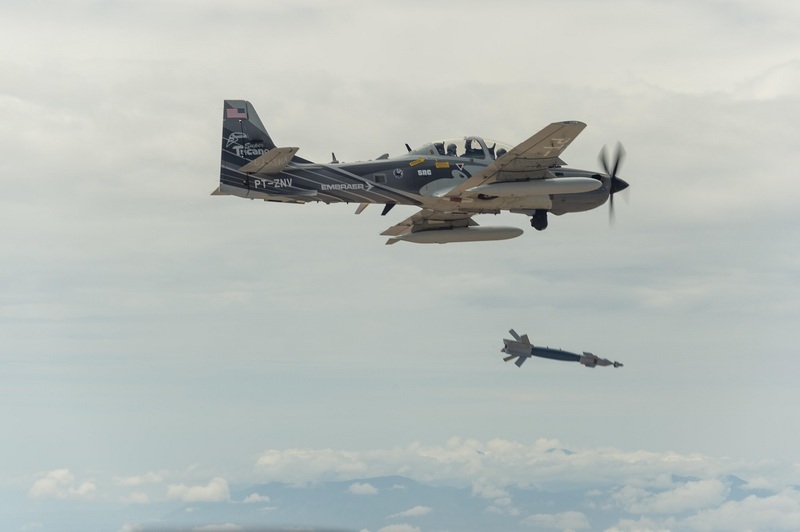 An Embraer EMB 314 Super Tucano A-29 experimental aircraft drops a bomb over White Sands Missile Range, New Mexico, Aug. 4. The 416th Flight Test Squadron (FLTS) recently sent three test pilots and two flight test engineers to Holloman Air Force Base in New Mexico to participate in the Air Force’s Light Attack Experiment (OA-X). 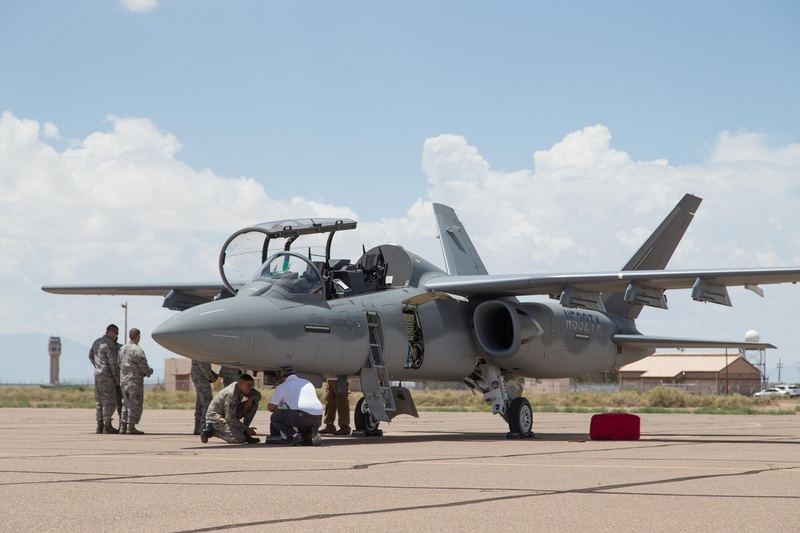 As told by Kenji Thuloweit, 412th Test Wing Public Affairs, in the article Edwards testers get feel for new experimental light attack aircraft, earlier this year, the U.S. Air Force (USAF) established vendor parameters in the initial invitation-to-participate in OA-X. Private industry members were asked to propose aircraft that could potentially meet USAF need for a low-cost attack capability that is supportable and sustainable. A Beechcraft AT-6 experimental aircraft flies over White Sands Missile Range, New Mexico, Jul. 31. Highlighted missions included close air support (CAS), air interdiction (AI), combat search and rescue (CSAR) and strike coordination and reconnaissance (SCAR). 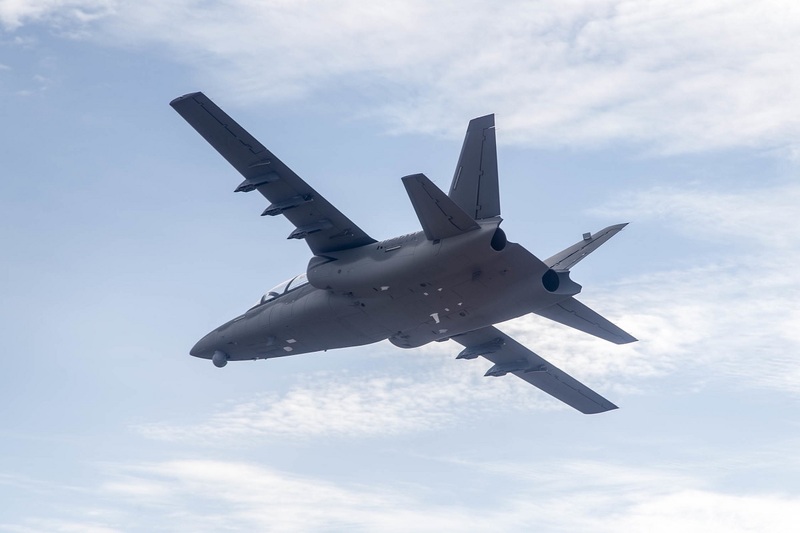 OA-X included also the use of weapons generally used on fighter and attack aircraft to evaluate the participating aircraft’s ability to execute traditional counter-land missions. “After the experiment sortie, each pilot submitted a pilot report and a separate survey in order to capture pertinent handling qualities, performance and (pilot-vehicle interface) aspects of the aircraft,” Fancher said. 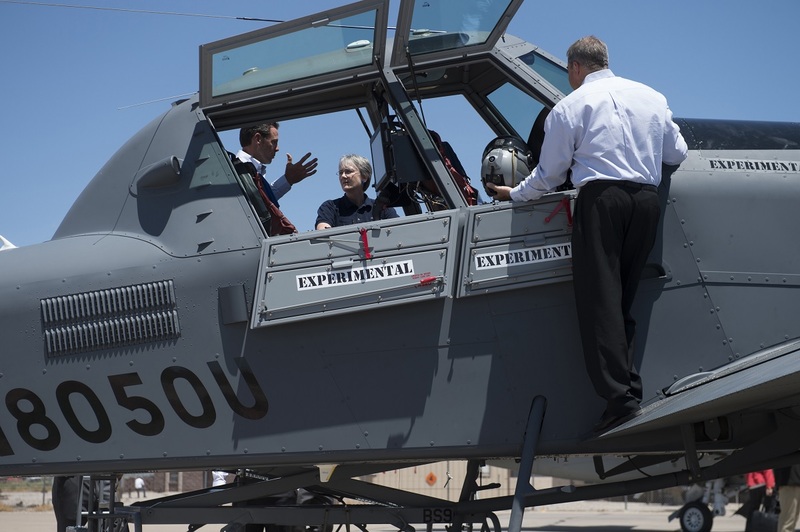 Secretary of the Air Force Heather Wilson and Air Force Chief of Staff Gen. David L. Goldfein shake hands and meet with members from the Light Attack Experiment at Holloman Air Force Base, N.M., Aug. 9, 2017. According to Fancher prior to travelling to Holloman, the 416th FLTS team conducted pre-arrival studies. Once at Holloman, one day of academics was accomplished prior to a familiarization sortie, which covered local area procedures and basic operation of the aircraft and its avionics. During the familiarization sortie the test pilot flew from the front seat with an instructor pilot from the aircraft manufacturer in the back seat. The test pilots would later fly the experimentation flight conducting test points and weapon deliveries with the company instructor pilot in the back seat to assist with flight duties. “It was enjoyable to take part in the opportunity to fly and assess a new aircraft, particularly when it has the potential to positively enhance future warfighting capabilities,” said Fancher. The Textron Scorpion experimental aircraft conducts handling and flying quality maneuvers above White Sands Missile Range, New Mexico, Aug. 4. Pilots will continue to fly the four aircraft through a range of combat mission scenarios during the live-fly experiment to evaluate each platform’s military utility. Noteworthy the live-fly experiment is part of a broader Air Force effort to explore cost-effective attack platform options under the Light Attack Experimentation Campaign run by the Air Force Strategic Development Planning and Experimentation Office at Wright-Patterson Air Force Base, Ohio. As we have previously explained Brig. Gen. Ed Thomas, director of Air Force public affairs, told that OA-X program is aimed to find a cheaper CAS platform that would be needed to perform the mission over permissive environments which don’t require F-22 or F-35 stealth fighters. 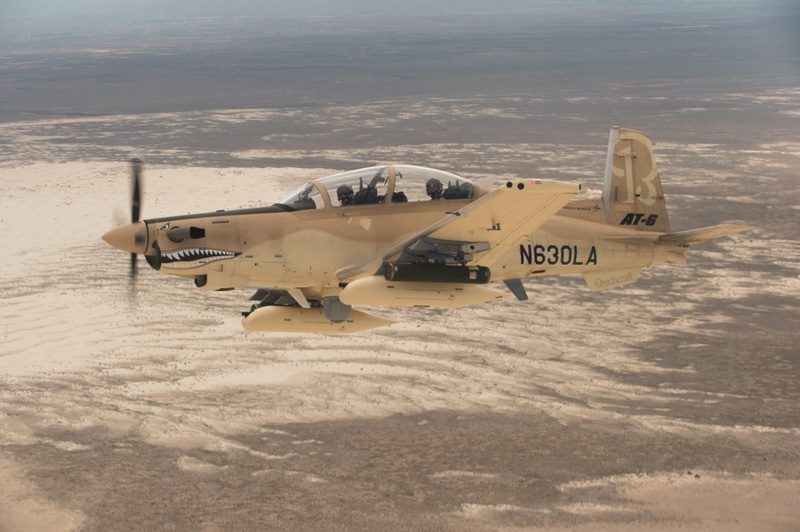 However it must be noted that OA-X program is not focused on finding an aircraft to replace the venerable A-10 Thunderbolt II but rather on finding a light attack aircraft to complement the Hog in CAS missions.